The Netgear Nighthawk AC1900 and the Netgear AC2600 are both dual band routers that will boost your WiFi signal in your home or small office. Both models are a similar style and are in the same price bracket, so which one is better? We have looked at the features of both the Netgear Nighthawk AC1900 and the Netgear AC2600 to give you a better idea of which router we think performs the best. 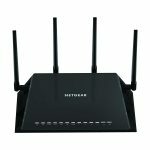 The Netgear Nighthawk AC1900 is a dual band router that offers combined speeds of up to 1900 Mbps with 600 Mbps at 2.4 GHz and up to 1,300 Mbps at 5 GHz. The Netgear AC2600 can give combined speeds of up to 2,533 Mbps with up to 800 Mbps at 2.4 GHz and up to 1,733 Mbps at 5 GHz. 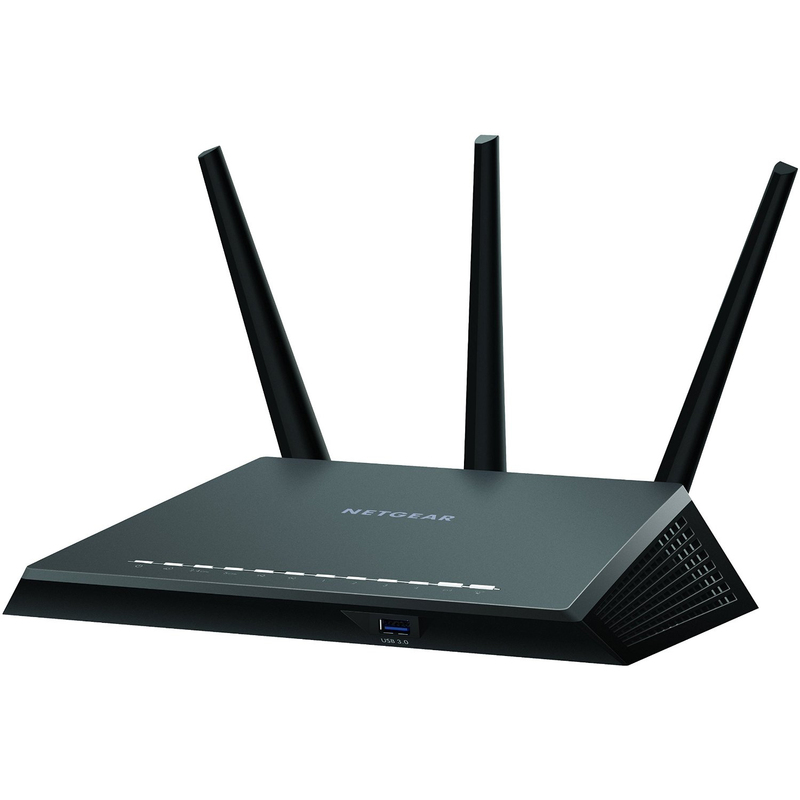 The Netgear Nighthawk AC1900 features a 1 GHz dual core processor to give fast connection speeds compared to the Netgear AC2600 which has a faster 1.7 GHz dual core processor, so it’s able to process more information at faster speeds. The Netgear AC2600 benefits from having MU-MIMO technology that will let your compatible devices access the fastest connection speeds possible without slowing down the network for other users. Both routers will let you access your network remotely through the VPN Connect app on your phone. The two routers work with the Netgear Genie app, letting you manage your network settings and set up individual user accounts. Both models are also compatible with the Kwilt app, which allows you to social media accounts and view photos on any of your devices. With the corresponding app on your phone you’re able to access security settings for your network and block specific sites from being accessed from both the Netgear Nighthawk AC1900 and the Netgear AC2600. With both models you can also tailor each user’s settings and you can view on the app the devices that are connected to your network. Both routers offer parental controls that can be monitored via the app, where you can limit access for your children and help to keep them safe online. The two routers both have Beamforming technology that helps to boost the WiFi signal to all the rooms of your home and both also have 4 LAN ports. 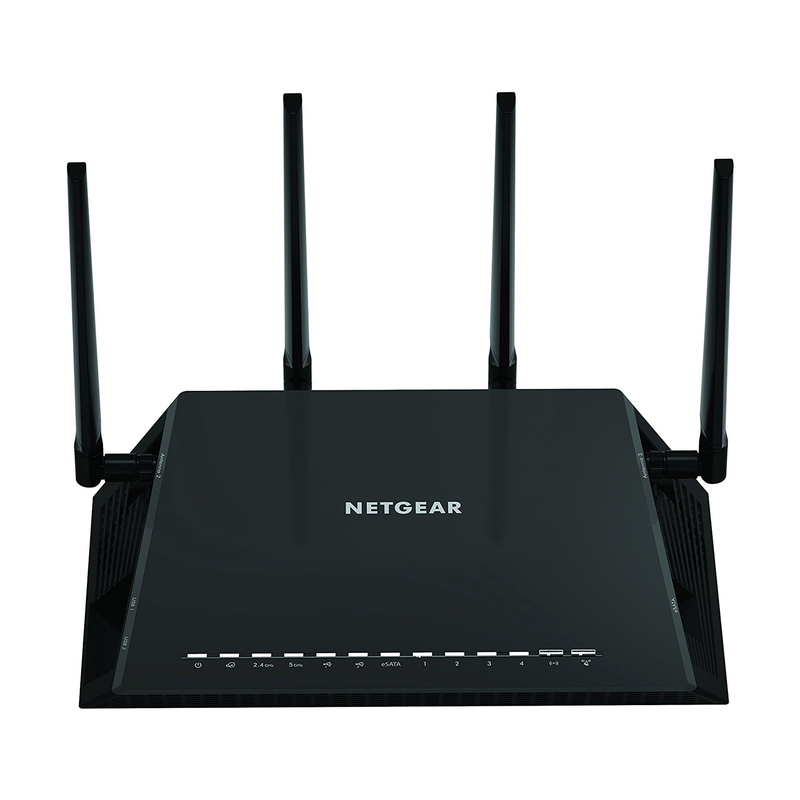 The Netgear AC2600 also benefits from 4 external antennas to give you a stronger signal, compared to the Netgear Nighthawk AC1900 which has 3 external antennas. Both routers have QoS technology that helps to prioritize devices needing a higher bandwidth, with the Netgear AC2600 having Dynamic QoS that will automatically boost the signal for your gaming and HD streaming. The Netgear AC2600 has dual USB 3.0 ports and an eSata port compared to the Netgear Nighthawk AC1900 which has one USB 2.0 and one USB 3.0 ports. After looking at the Netgear Nighthawk AC1900 and the Netgear AC2600 we think the better router is the Netgear AC2600. It is capable of faster speeds and can intelligently prioritize bandwidths. The Netgear AC2600 also has the extra transmitting antenna to give you a stronger signal and better range throughout your home.